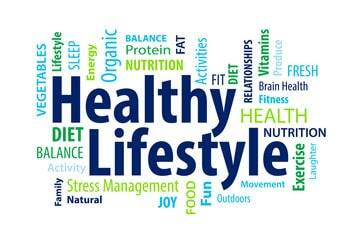 It seems (for good reason) that there is a lot of information out there on how to keep healthy and what benefits we can obtain from a healthy lifestyle. From taking enough vacations to eating right, getting enough exercise and sleep to the more creative uses of mediation and healing stones, there’s something for everyone. Often we get into some bad habits, whether it’s because we just grew up that way or because of a mix of fast paced lives combined with a two parent income, it’s easy to fall into the trap and let your health slide. It should be a priority; you only have one life to live, and if you’re not in good health, body, mind and soul, then you’re not taking full advantage of the gift you’ve got. One of the best ways to start is by getting enough sleep. Sleep is sometimes overlooked when it comes to maintaining good health, as the focus becomes primarily getting enough exercise or eating properly. While these are vital components, if you’re not getting enough sleep, your body simply won’t use the energy properly and will always be in a state of trying to tread water. Not able to sleep as well as you’d like? It helps to have a good bedtime routine, which can be almost anything you like to do in order to wind down at the end of the day. Reading a book or having a whirlpool bath are great options. Turn off all the lights (at least those in your room) and ensure that your blinds or curtains are drawn if it’s still light outside. Turn digital lights around to face the wall, and if you are sensitive to noises in the house or the neighbourhood, choose a white noise that will drown them out but allows you to relax, like a fan or the sounds of nature. Keep your bedroom temperature on the cool side, and keep extra blankets handy. You probably knew it was coming; healthy eating is definitely high on the priority list. Sometimes making meal changes become difficult if you’re feeding a family, but getting them involved can have a big impact on how they come to accept the switches in food. Kids often will want to help out, and you can challenge them to each find the healthiest meal for you to create together. When kids (and adults) feel that they have some say or control, the process often goes far more smoothly. If you’re a junk food junkie, avoid those aisles altogether in the grocery aisles, and stick to fresh, local food whenever possible. It also helps to have a designated cheat night, or even, if you can do it in moderation, give in to those cravings every so often. Stay hydrated! Commit to drinking more water – just plain, cold water from the tap or from your filtration device. Water is a key element to our health and without enough of it, our skin can sag and lose elasticity, our energy levels can drop, and our digestive system isn’t as able to process all that we feed it. Water helps to lubricate our insides, and it’s important to keep ourselves hydrated so that we can operate at optimum levels. This one will also likely come as a no brainer, but exercise is another pillar when it comes to staying healthy. A healthy lifestyle will include a regular exercise routine, whatever that may be. Choose activity that you naturally gravitate towards and it will seem like much less of a chore. If you like walks, take a walk! If you love swimming, do some laps in your local pool or join an aquafit class. You and a partner could have a great time while getting that heart rate up by joining a dance class. Whatever keeps you motivated, do it, and do it every day. Use a steam shower. You might not have guessed this one off the bat, but using a steam shower a wonderful way not only to power down in a spa-like environment but can also help open up sinuses and allow for easier breathing. It’s also great for the biggest organ on your body; your skin! Not only does a steam shower allow for a luxurious way to maintain good hygiene, but it’ll also help you to wind down and relax at the end of a busy day. manner of writing? I have a presentation subsequent week, and I’m at the look for such information.